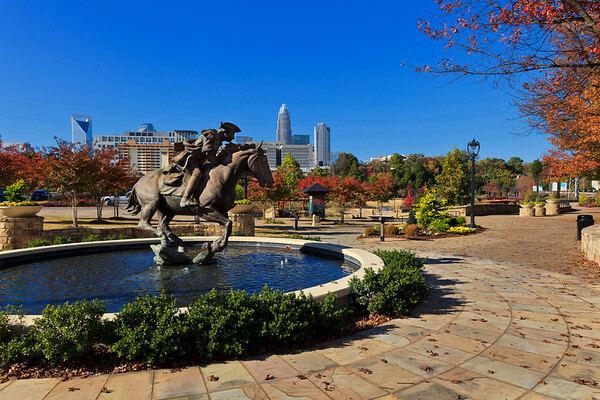 A part of the Little Sugar Creek Greenway, with statues, parking & landscaped areas. Capt. James Jack, a Charlotte horseman who is said to have ridden to Philadelphia in 1775 carrying a just-signed copy of the Mecklenburg Declaration of Independence to the Continental Congress. Some historians believe it influenced the 1776 Declaration of Independence.